Hong Kong is a great city for business. It also happens to be the ideal stepping stone for those foreign businesses who want to expand to China. If you are a business owner whose looking for a way to penetrate the huge Chinese market, then you will need to open a company bank account HK and use Hong Kong as your first step into China. Business China is going to be with you every step of the way during your Hong Kong company formation and bank account process. We will provide you with all the information you need to get started. Business China has years of experience in helping clients open a company bank account HK.We can help businesses save in unnecessary taxes by opening a company bank account in HK. We will open your bank account in a renowned and recognized Hong Kong bank, which will help reinforce the confidence of your investors, business partners and customers of your company. Business China helps clients open an HK company bank account. We take care of the appropriate tax arrangements along with the necessary documentation that you are going to need during the application process. With our expert services, you can rest assured that you are going to get your Hong Kong company banks account within the least amount of time, allowing you to do your business without wasting any precious time. Ask yourself these questions; If a company doing business in Hong Kong does not have a bank account how will they be able to collect payments from their customers? How are they going to apply for an L/C, and how are they going to cope with large amounts of cash flow? 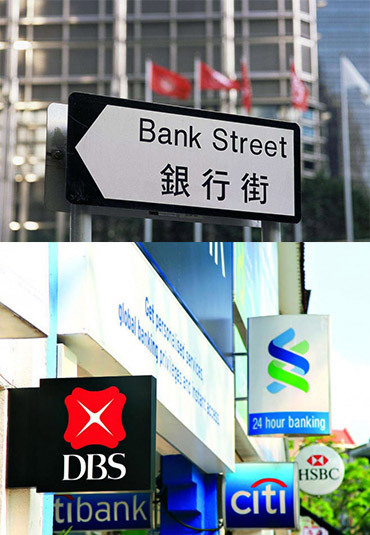 This are just a few reasons why it is crucial to open a company bank account in HK. Hong Kong's financial institutions have begun the GRS policy, which has led to tougher scrutiny of bank accounts in Hong Kong, and a greater lack of success rates, making it harder to open a company bank account in HK. A Hong Kong offshore company has obvious operating advantages, but a Hong Kong company must be equipped with a bank account to be more efficient. Business China will recommend bank for you after you have provided us with the necessary files. We will set an appointment for you after all files have been checked. We will help you with the signing of contracts and remittance confirmation. All directors and shareholders holding 10% and above shall attend the bank interview with original files. We will follow up till clients get SMS and the mailed token. We will keep you posted on the latest developments while going through the process of opening a company bank account in HK. Filing the proper documents can get complicated for foreign business owners, which is why our services are priceless when it comes to opening a company bank account in HK. Business proofs if you already are running a business (invoices from suppliers, payments from clients, contracts, or even copies of your business’ web pages). Your business must be related to China or Asia to get a better chance to be approved. Proof of residency (less than two months old telephone bill, electricity bill, or bank statement showing name and address) of all directors, shareholders holding 10% or more shares, beneficial owners and Nominees if any. It must be a Certified True Copy in English or translated in English (you can make translation with your Consulate registered translator and get a certified true copy mention by the Consulate). Original is required when the client is signing the bank account opening document. Business owners are not allowed to collect funds for other people, resolutely prevent any fund exchanges with underground banks in Hong Kong or China and are also required to avoid any payment contact with the sanctioned countries. If a transaction must be made, the relevant documents of all transactions must be kept well. Business dealings between companies need to be arranged between the bank accounts of two companies, preferably using part L/C to confirm the company’s trade status. Keep the account with a certain amount of deposit to pay the bank charges. Use your account regularly since accounts could be closed if they remain inactive for up to 3 months. Please ensure address, phone number and commonly used E-mail you reserved for the bank is effective, if you receive bank survey forms such as compliance survey forms, please revert timely and cooperate with banks during all relevant investigation to avoid the suspension of your bank accounts. Do not trade with countries that are located in high risk areas.Try not to trade with countries that are economically unstable (such as Iran, Syria, or North Korea) with sanctions. Because these countries often cannot directly remit foreign currency, and usually use third country or offshore account remittance. Don't participate in any illegal activities, such as, money laundering transactions.If the account involves transferring foreign exchange, money laundering, etc., which is illegal and will lead to accounts being frozen by the authorities, not to mention the damage to your personal reputation. The timely audit to ensure the normal operation of your Hong Kong company.